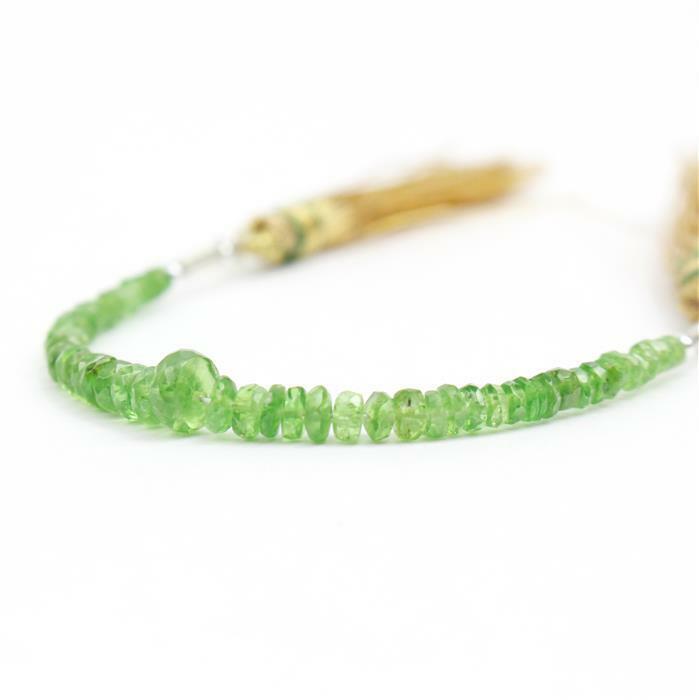 6cts Tsavorite Garnet Graduated Faceted Rondelles Approx 2x1 to 3x2mm, 8cm Strand. 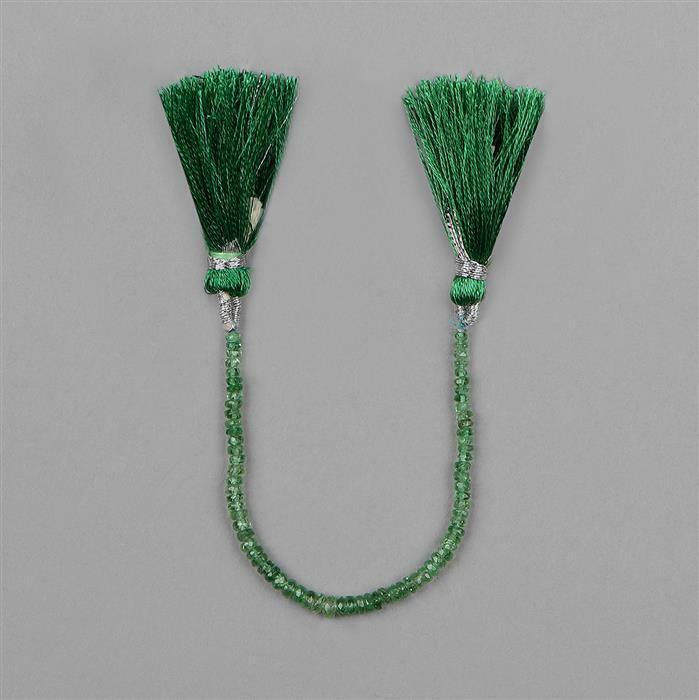 These royal colours of Tsavorite Garnet Faceted Rondelles will be a perfect accompaniment to your designs. The rondelles are much smaller than expected, however the colour is beautiful. Beautiful colour to these garnets and the certificate states they are from Tanzania, the original original source, and not from Kenya - where the Tanzanian seam was followed to in order to be able to export the stones. Good colour but soooo tiny. I really need to remember that what can look like an impressive piece on screen is less so when microscopic.